End of year HOT articles! December 2015’s HOT articles are here and free to access. These have also been compiled into a collection on our website. Professor Philip Mountford (University of Oxford) will complete his final term as Chairman of Dalton Transactions’ Editorial Board at the end of December this year. Philip, Chairman of the Editorial Board since January 2012, has been a fantastic ambassador for the Journal, representing Dalton Transactions at many conferences around the world. He has overseen 4 Editorial Board meetings (including at the 2013 Royal Society of Chemistry Editors’ Symposium in Brussels), guest edited two themed issues (Advances in metal-catalysed polymerisation and related transformations, and Earth Abundant Element Compounds in Homogeneous Catalysis) and chaired the Editorial and Advisory Boards of Dalton Transactions during a period of significant expansion of the Journal’s published volume. He leaves Dalton Transactions in a very strong position, with the Journal reporting its highest ever impact factor for 2014 (4.19) and publishing over 2000 articles a year – the only weekly international journal for inorganic, organometallic and bioinorganic chemistry. Philip’s work on the Journal was recognised at a presentation, held during one of his last engagements for Dalton Transactions – chairing the final session of the 2015 RSC Coordination and Organometallic Chemistry Discussion Group Meeting (Oxford, 3-4 September 2015), during which Professor Jason Love (University of Edinburgh) was the Dalton Transactions-sponsored Plenary lecturer. This was an especially relevant meeting, as Philip is Head of Inorganic Chemistry and Professor of Organometallic Chemistry and Catalysis at Oxford. 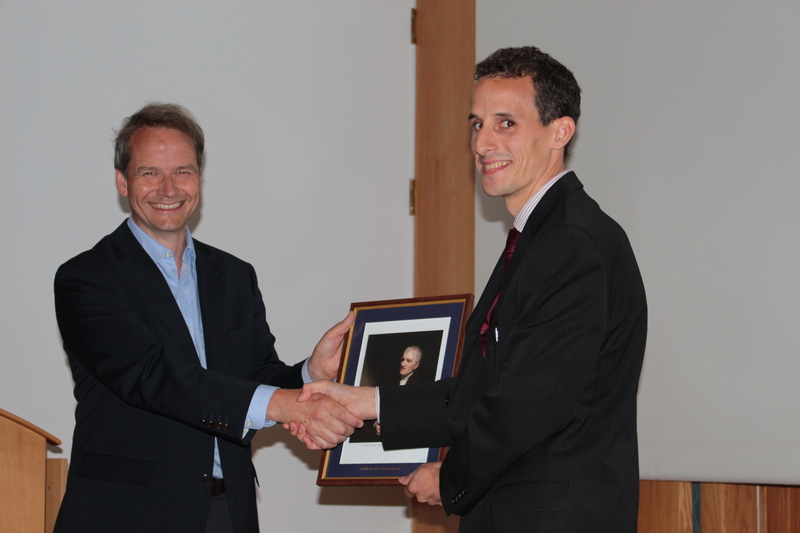 Philip was presented with a framed portrait of John Dalton, the Journal’s namesake, as both a token of our appreciation and to commemorate the 250th anniversary of John Dalton’s birth. Philip was also presented with a Dalton Transactions mug featuring the cover image of the 2013 themed issue that he guest edited. Among his numerous other important contributions and achievements during the past four years, Philip helped to celebrate the work of Dorothy Hodgkin, represented Dalton Transactions at its 4th International Symposium, and received the Schlenk Lectureship award in 2015. Professor John Arnold (University of Berkeley, California) will succeed Philip as Chairman of the Editorial Board, from 1st January 2016. Thank you, Philip! We’ve been very privileged to work with you. Professor Darrin Richeson’s group has carved out an interesting organometallic niche. Their papers feature low-valent metal complexes of pincer ligands combined with detailed computational analysis of the electronic structures. 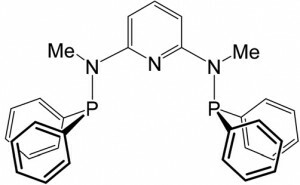 In their recent Dalton Transactions article they report unique coinage metal complexes of the “PN3P” ligand below. The judicious selection of this particular pincer framework resulted in complexes with geometric properties distinct from those of the same metals with other “PNP”-type ligands. Choosing the ligand with a NR instead of a NH spacer between the pyridine and phosphine moieties enhances the donor strength of the phosphines while rendering the N atoms inert towards deprotonation. Subtle effects of this adjustment manifest themselves in dramatic changes in the solid-state coordination and geometric properties of their Cu and Ag complexes. Their reported CuBr complex is coordinated by one PN3P ligand and has a distorted trigonal pyramidal geometry. 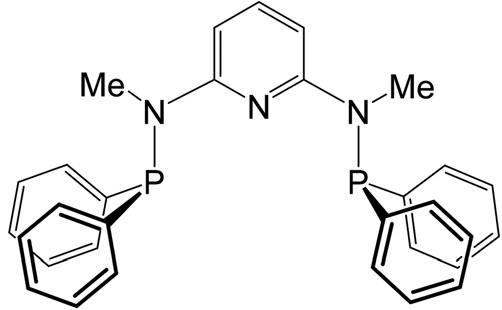 They contrast these to Cu(I) complexes of an analogous PN3P ligand with NH spacers, which coordinate two ligands and in one case displace the halide atom. Using CH2 spacers, a previously reported Cu(I) structure exhibits T-shaped geometry and a non-coordinating triflate anion. The Cu(I) reported here shows a geometry much closer to trigonal pyramidal, with a coordinating triflate anion. The second part of the paper discusses details of the electronic structure gleaned from DFT calculations. Particularly illuminating is a paragraph on page 19157, summarizing the particulars of the bonding as “a balance of bonding and antibonding interactions…diffuse polarized-π orbitals…(and) back donation.” Perhaps this seems summary seems unsurprising, but there are subtleties in the analysis. Professor Richeson was my M.Sc. supervisor (I finished in his group six years ago). I write this in gratitude for his mentorship, and in appreciation of his group’s continuing work. 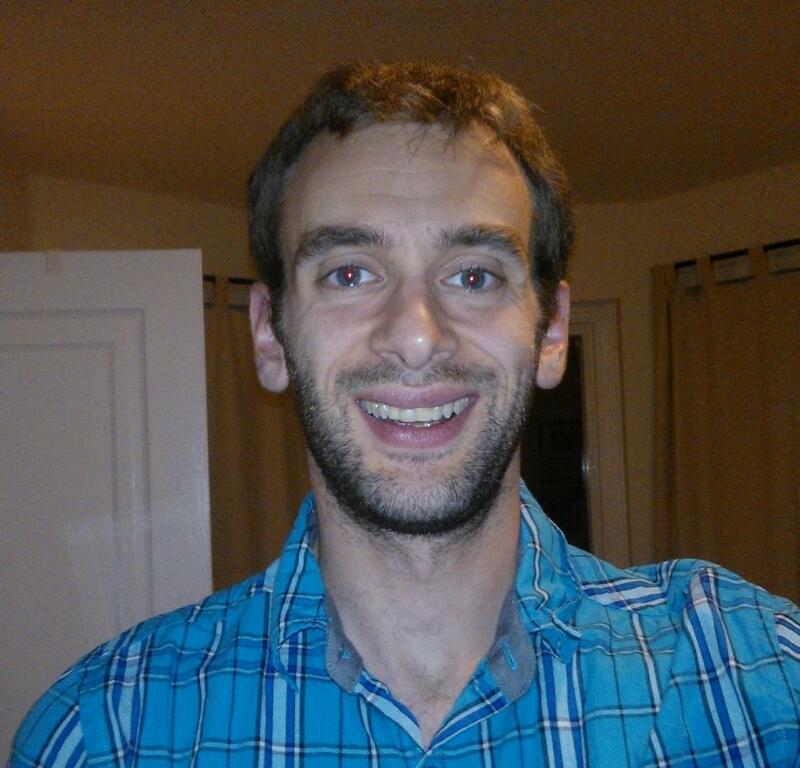 Ian Mallov is currently a Ph.D. student in Professor Doug Stephan’s group at the University of Toronto. His research is focused on synthesizing new Lewis-acidic compounds active in Frustrated Lewis Pair chemistry. He grew up in Truro, Nova Scotia and graduated from Dalhousie University and the University of Ottawa, and worked in chemical analysis in industry for three years before returning to grad school. 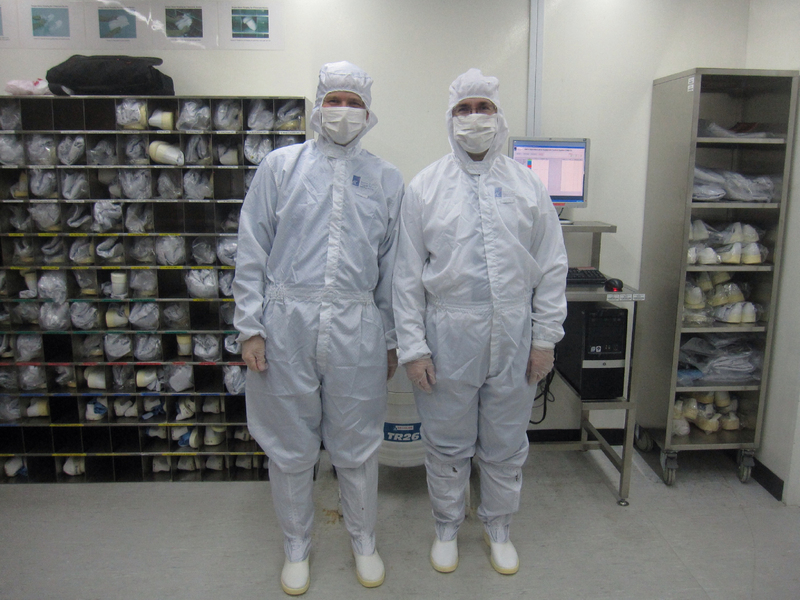 You are currently browsing the Dalton Transactions Blog blog archives for December, 2015.